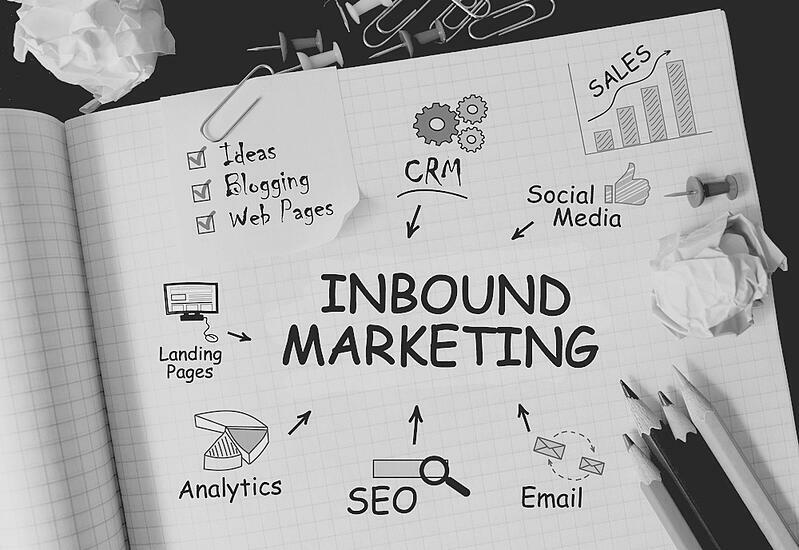 It seems like every week there is something new in the world of inbound. We previously shared our key takeaways from the recent Inbound 2018 event; but we felt there was one topic that could use additional coverage. Here’s what you need to know about making the switch from the old sales funnel to the new flywheel. Why should marketers abandon the funnel in 2018? Much like last year’s shift from keywords to topic clusters, change comes naturally in inbound. While the old sales funnel may have gotten the job done during its time, the modern buyer isn’t following the same sales journey from years ago. The modern approach to buying is less linear and more circular, with a continuous need to solve for customers’ needs. For b2b marketers in particular, friction was a consistent issue with the sales cycle in the past; and a lack of momentum would lead to longer sales cycles and less conversions. Now, you’ll have better control over the speed of your flywheel, with opportunities to improve conversion rates and interactions with your company. Attract potential leads to your brand, whether it’s from blogging, social media posts, or generating brand awareness with targeted ads. Engage prospects that are likely to become customers. This comes from CTAs, forms, chat bots, and other conversion methods. Delight customers by personalizing content to their needs. Remember, marketing automation might make it easier to reach your contacts quickly; but it doesn’t provide personalization. The attract and engage stages used to be the most important with the funnel; but the delight stage is where the flywheel truly shines. Even if you provide quality content offers and value to your prospects, maintaining long-lasting relationships with your customers is a vital aspect of inbound marketing. With the flywheel, you’re spending less time focusing solely on closing deals and more time cultivating customer relationships. Satisfied customers are one of your greatest marketing assets, especially for inbound marketers. As you gain more leads and prospects, they'll be looking at your current customer-base to see how pleased your customers are. Customers can become promoters for your business and provide feedback and recommendations for your brand; you'll want to continue to delight them, even after you've close a deal. Answering key questions that your prospects and customers have. You can do this through a Q&A, blog post, or via social messaging. Thinkdm2 is a b2b digital marketing and branding agency that specializes in content development, SEO, website design, and more for our clients. If your business is looking to develop its own flywheel model, you’ll want to make sure you have plenty of leads to nurture along the way. Download your free ebook to learn how to generate quality leads for your b2b business.